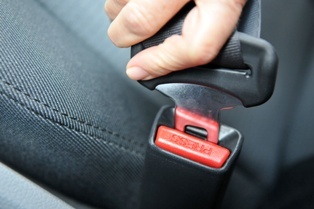 Can I recover damages if I wasn’t wearing a seat belt? There's no question that seat belts are life-saving safety devices. In fact, seat belt use saved an estimated 14,668 lives in 2016 alone, according to the National Highway Traffic Safety Administration (NHTSA). Research has shown, time and time again, that wearing a seat belt is one of the most effective ways to prevent serious accident-related injuries and deaths. After being injured in a crash caused by another person or entity's negligence, accident victims may be entitled to a wide range of economic and non-economic damages, including medical expenses, property damages, lost wages, loss of earning capacity, pain and suffering, and more. However, accident victims who weren't wearing a seat belt at the time of the crash may be hesitant to pursue the compensation they're owed out of concern that their lack of seat belt use could be used as evidence of comparative or contributory negligence. Fortunately, Chapter 21, § 4802 of the Delaware Code prohibits an accident victim's failure to wear a seat belt from being used as evidence for comparative and contributory negligence claims in any civil trial or insurance claim adjudication. As a result, accident victims are still eligible to seek and collect compensation for injuries and other losses—even if they weren't wearing a seat belt at the time of the crash. Consulting an experienced personal injury attorney can help you build a strong car accident insurance claim or lawsuit. Not only can a knowledgeable attorney help you understand your legal rights and options after a Delaware car accident, but they can also help you fight for the compensation you deserve and navigate each and every step of the personal injury legal process. Contact the Morris James Personal Injury Group today to request a free initial case consultation. Our attorneys are happy to meet with you to discuss the details of your case.